South Carolina is the fifth state this year to increase its motor fuels tax to support new transportation investments. State legislators approved a package that will raise the tax by 12 cents per gallon over the next six years. Combined with other fees, the state will generate an extra $640 million of annual recurring revenue for road repair and maintenance. On May 10, the House and Senate voted to override the veto of Gov. Henry McMasters (R) a day earlier, allowing the bill to become law. 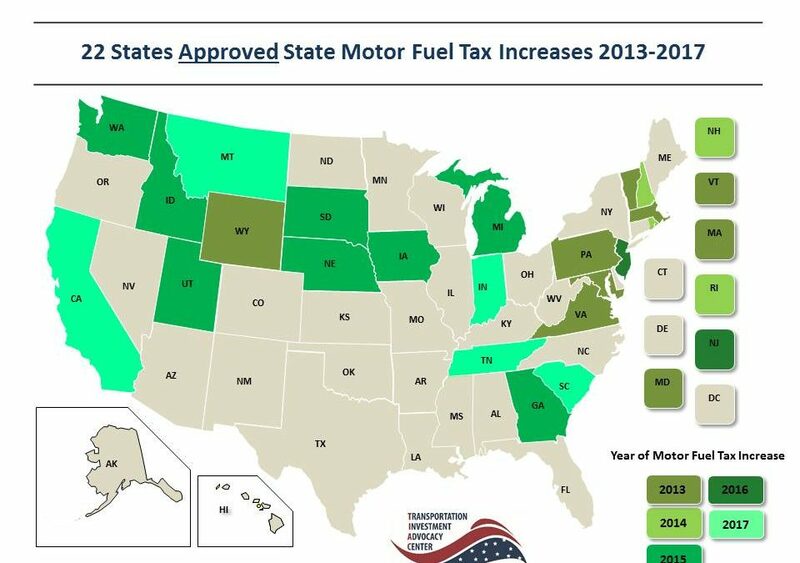 California, Montana, Indiana and Tennessee raised their gas tax earlier this year, joining 17 other states since 2013. South Carolina last increased its gas tax in 1987. Visit the South Carolina page of ARTBA’s Transportation Investment Advocacy Center™ to learn more about the bill.